Chandos is a single-storeyed rendered brick house designed by the architect Nahum Barnet in 1885. 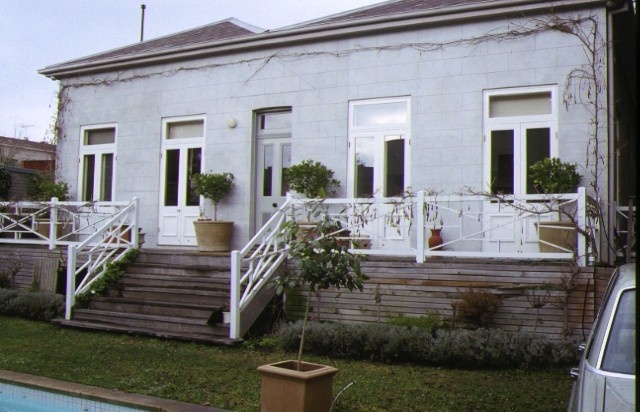 It has a central, pedimented and parapeted entrance porch, an iron front verandah and a dominating balustraded parapet decorated with orbs. The main facade windows are grouped in two lots of three with a common bracketed sill. The front door has a transom and side lights. 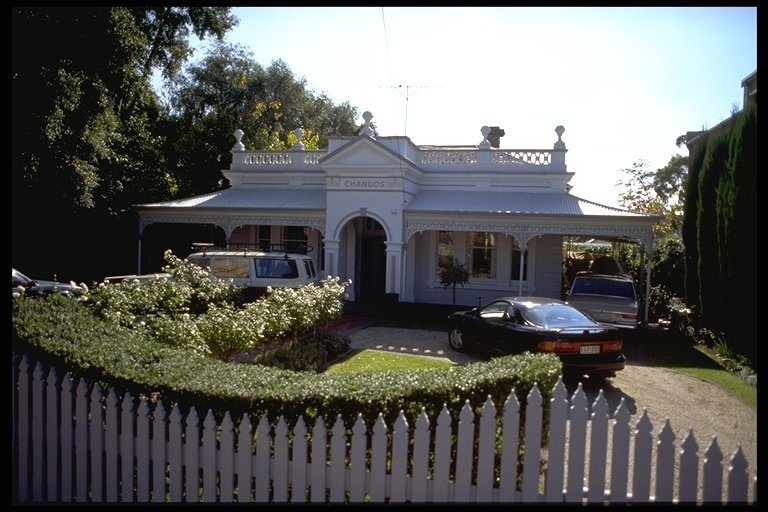 The hipped main roof is covered with slate and the verandah is covered with iron. 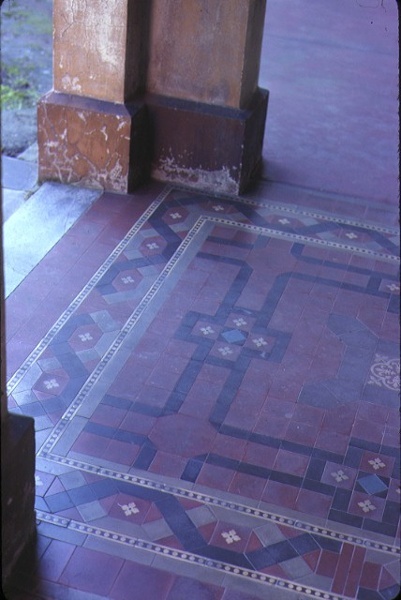 The verandah flooring is tiled. The chimneys are corbelled. Internally the building is not elaborately finished but includes cornices, ceiling roses and marble fireplaces. 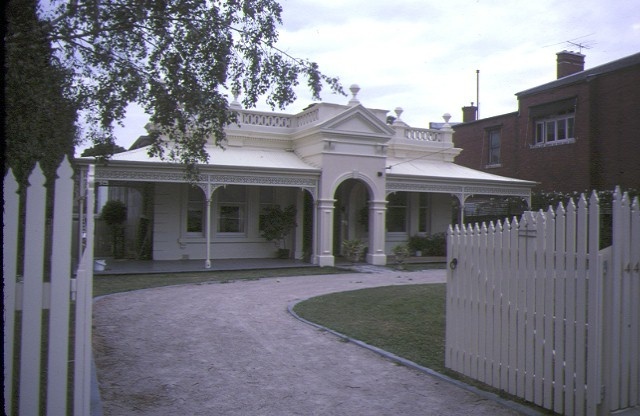 The house's external decoration reflects classical elements as applied to many Melbourne residences during the boom period to the early 1890s. 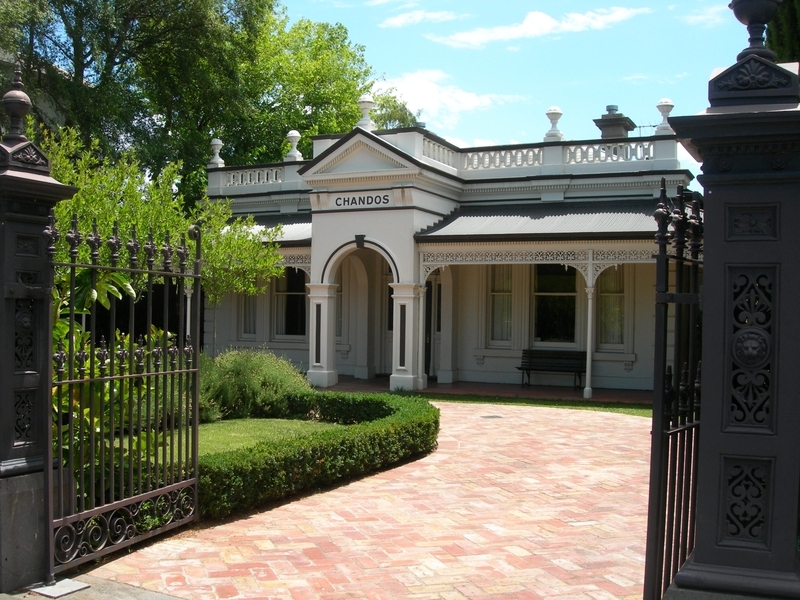 Chandos is of architectural significance to the State of Victoria. 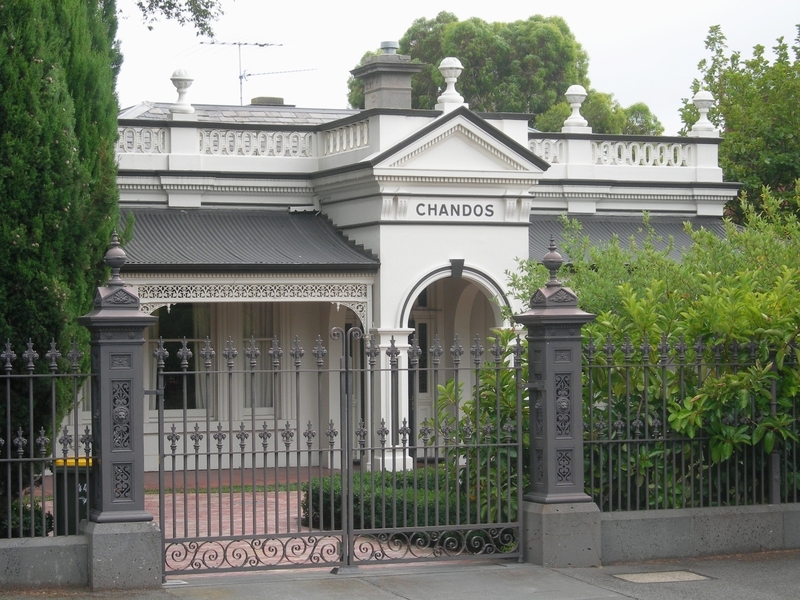 Chandos is of architectural significance as an excellent example of a classical villa design by noted Melbourne architect Nahum Barnet, a prominent architect in the four decades after the 1890s depression. Chandos is significant as an early example of Barnet?s domestic work, and was perhaps his first domestic commission. Chandos is an unusually restrained example of boom style architecture, with distinctly conservative Palladian-style origins. Historic Building No. 535 Chandos, 44 Hotham Street, East Melbourne. Nahum Barnet began practising in 1880 and designed quite a number of buildings in Melbourne, particularly during the first couple of decades of the twentieth century. The villa, Chandos, was built in 1885 by Langford and Hutchinson for David Benjamin, a house and land agent, to the design of architect Nahum Barnet. The Benjamin family were all prominent in Jewish and public affairs. Three members, Solomon, Moses and David were the biggest buyers at the East Melbourne Crown Land sales. Benjamin does not appear to have lived in Chandos. Magnus Susman was listed as the occupant of Chandos in 1885. The building was probably built as an investment property. Chandos changed occupancy eighteen times in the sixty-five years to 1950. The longest occupants being Frederick W Debney about nine years from 1910, Dr H Cairns Lloyd from 1905 to 1910 and Misses M and Stella O'Keefe from 1919 to 1928.